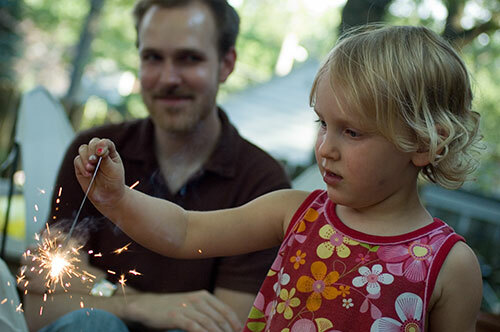 Lucy was very brave to hold a sparkler on the 4th of July. That’s Kevin in the background, watching approvingly. Hi, Kevin! What can I say? 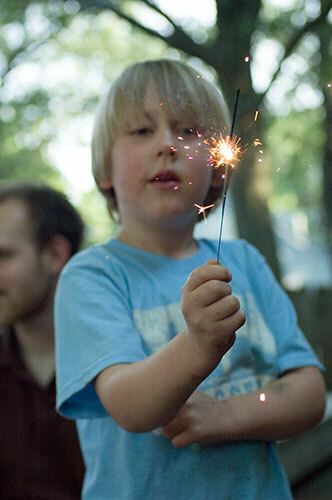 Every kid loves a sparkler. Okay, I admit it! I asked them to hold hands right before I took this picture. But it was too cute, in a Hallmark™ sort of way, to pass up. 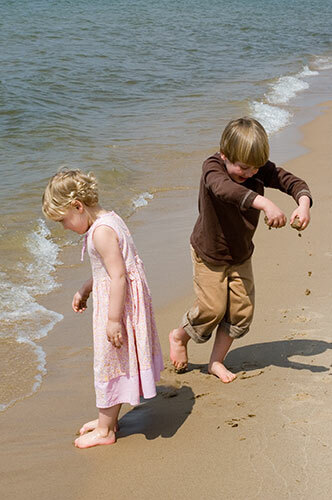 My kids were really enjoying dropping sand on the beach. 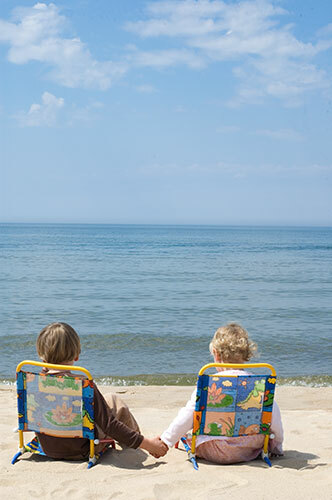 Ah, the simple pleasures of life! 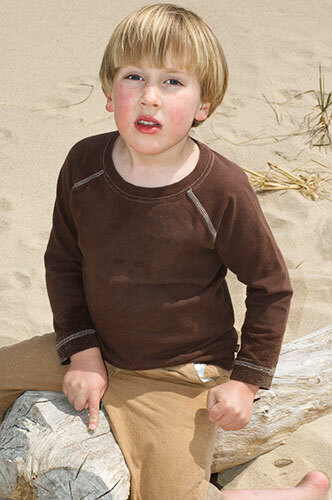 Lucy at the beach last April, doing some kind of odd pose with her arm. 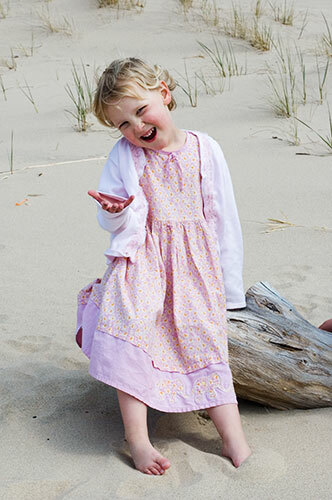 This photo is a little old, taken last April when winter was just breaking and we had to get outside. 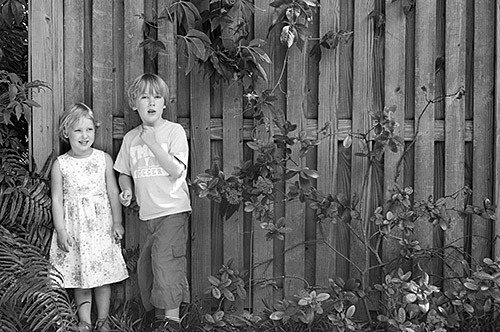 Ben and Lucy stand in front of a fence, next door to Sara’s parents’ place in Tampa. 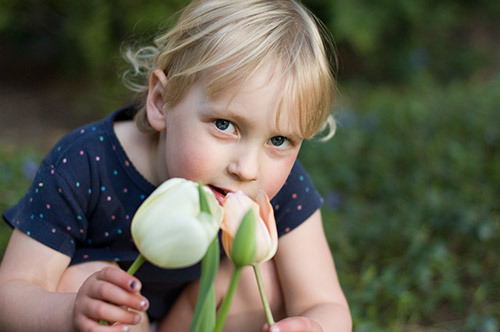 Lucy crouches behind the tulips, pulling them together so that they can both fit in the picture. 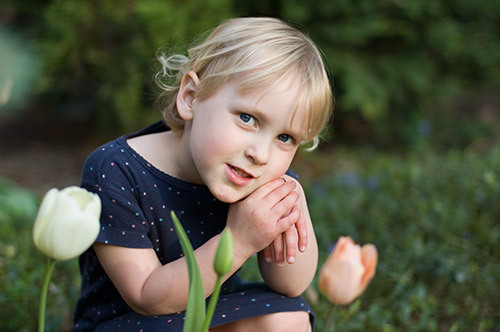 Lucy poses for a picture among the tulips. 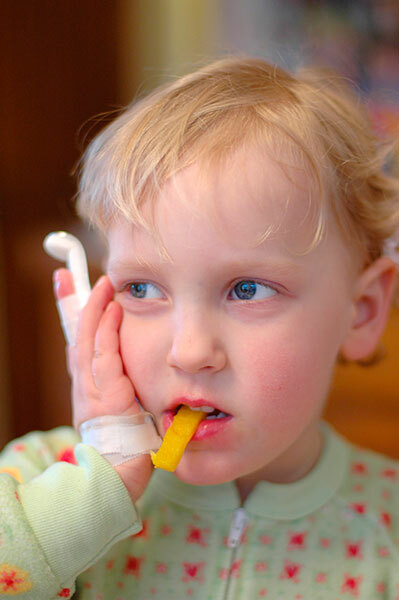 Lucy sports a broken middle finger while she eats a yellow pepper—one of two or three fruits and vegetables that she’ll actually agree to swallow.